This has been an amazing year. We have had our first criminal cartel prosecution; we have won two cases in the High Court; there have been many important cases against large companies for misleading consumers on fundamental issues; many unfortunately high-profile product safety matters; the Harper changes were put before the parliament; the court upheld our seminal fixed-line services review decision … I could go on and on. In addition, the Commonwealth Government gave us much more to do. The Government has directed us to conduct inquiries into the competitiveness, trading practices, and transparency of the Australian dairy industry; residential mortgage products; Northern Australia insurance; the supply of retail electricity and the competitiveness of retail electricity prices; and the supply of and demand for wholesale gas in Australia, as well as to publish regular information on the supply and pricing of gas for three years. While a great compliment to the ACCC; these inquiries will both stretch and test us. Strong consumer rights, guaranteed by Australian Consumer Law, create confident consumers and promote competition based on merit. Consumer protection activity in 2016–17 saw the ACCC institute 19 new consumer protection and business protection-related court proceedings, accept 14 consumer protection related s. 87B undertakings, and receive payment for 11 infringement notices from nine traders. Litigated consumer protection matters in 2016–17 resulted in penalties of more than $16.2 million, the largest being a penalty of $6 million imposed on Reckitt Benckiser for claims about certain Nurofen products. The ACCC also took action against numerous education providers in 2016–17 for misleading and unconscionable conduct in relation to VET-FEE HELP courses. Thousands of Australians were lumbered with crippling debts and no qualification, and considerable amounts of taxpayers money was spent for very little return. We also estimate that Get Qualified Australia received between $750 and $8500 from around 5000 Australians, none of whom received a qualification. Our court action in this matter is continuing. Products which do not comply with Australian safety standards are in breach of Australian Consumer Law. Standards may also be modified due to emerging issues. Following more than 100 injuries and at least 36 house fires across Australia since 2010 and three reported deaths overseas, Australia adopted a new standard for decorative alcohol-fuelled devices (also known as ethanol burners) in July 2017. An interim ban on the burners commenced across Australia in December 2016. The new standard seeks to mitigate the safety concerns associated with the burners. The mandatory recall of Infinity cables has entered its fourth year, with an estimated 54 per cent of 4300 km of faulty cable identified. This is the one of the largest and most complex recalls the ACCC has been involved in, and one of our most important as the risk to homes with Infinity cables remains until the cable is removed. We urge all Australians who have had electrical work carried out on their houses in the past decade to check whether Infinity cabling was used and, if so, have it removed by a qualified electrician. Other product safety issues we have been involved in include the Thermomix voluntary recall. We have alleged the company misled customers about their consumer guarantee rights, failed to comply with mandatory reporting requirements for injuries arising from the use of the appliances, made false representations and engaged in misleading conduct regarding the safety of the TM31 model, and made false and misleading statements about its 2014 recall. The case is continuing. Truth in advertising is, and remains, a fundamental tenet of Australian consumer law. For Australian consumers, it is an expectation that what they are told and what they are sold is what they have paid for. It is therefore disappointing not only that ACCC enforcement activities are required to support the principle of truth in advertising, but that some of Australia’s most ‘trusted’ brands have been found to have misled consumers. In addition to the Nurofen case I have already mentioned, penalties of $400 000 were handed down against Dulux Group in November 2016 for making false or misleading representations about the temperature reducing characteristics of two paint products, InfraCOOL and Weathershield Heat Reflect. Both were sold with claims that they could reduce the internal temperature of a house. Both were untrue. Action commenced in June 2016 against H.J. Heinz Company Australia Ltd (Heinz) in relation to its Little Kids Shredz products. The Shredz products’ packaging features prominent images of fresh fruit and vegetables and statements such as “99% fruit and veg”. In fact, one Shredz product contains 68.7 per cent sugar, significantly higher than that of natural fruit and vegetables such as an apple which contains around 10 per cent sugar. The case was in court at time of publication. ‘Flushable’ wipes continue to be a concern for the ACCC, a result of claims by companies like Kimberly-Clark and Pental that the products were able to “break down in sewerage system or septic tank”. We allege the claims create the perception that the product is biodegradable when sewerage and water companies have clearly indicated that they are not. In this instance, the consumer does not bear a direct burden from what we allege are false claims; rather, the claim makes the product more attractive to the consumer. In March 2017 the ACCC instituted proceedings in the Federal Court against German company Audi Aktiengesellschaft (Audi AG), its Australian subsidiary Audi Australia Pty Ltd (Audi Australia), and their owner, German company Volkswagen Aktiengesellschaft (VWAG). The ACCC alleges that Audi AG and Audi Australia engaged in misleading or deceptive conduct, made false or misleading representations and engaged in conduct liable to mislead the public in relation to certain diesel vehicle emission claims, and that VWAG was knowingly concerned in this conduct. This proceeding follows earlier proceedings brought against VW Australia and VWAG in respect to similar claims about VW vehicles. They will be heard together. Extended warranties are a common way for companies to boost their bottom lines without offering much to consumers in the way of actual protection, the main reason being that Australian Consumer Law rights provide such wide protection. This became clear when the ACCC conducted an industry-wide survey of extended warranty selling practices. 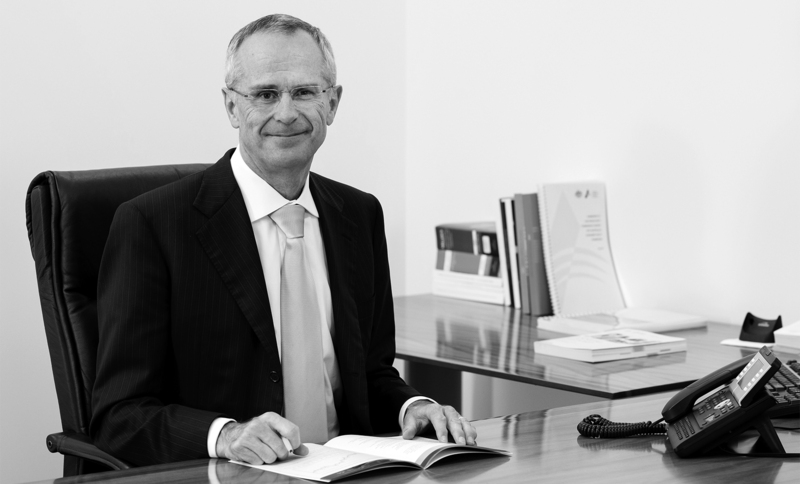 Following our investigations, the ACCC accepted undertakings from retailers and insurers which the ACCC considered had misled consumers by insufficiently disclosing or misrepresenting the degree of overlap and differences between extended warranty rights and rights and remedies automatically available under the ACL. Consumer guarantee proceedings were also instituted against companies such as Apple which have refused consumer guarantee rights to consumers using third-party repairers. The issue of third-party repairers has also arisen as a significant issue in the New Car Retailing Market Study. Protecting Indigenous consumers became a priority for the ACCC in 2016. The ACCC has an active Indigenous-focused Facebook page called ‘Your Rights Mob’ and produces targeted video content in response to identified issues in Indigenous communities such as scams. Indigenous communities were also a target of misleading and deceptive VET-FEE schemes; the ACCC’s work in this area directly benefited Indigenous communities. Following public consultations it became clear the industry was poorly communicating policy changes to policy holders. The financial result was bill shock for many and inadequate cover leading to reduced access to healthcare. In response, the ACCC released Communicating changes to private health insurance benefits in October 2016 to better educate the industry on its obligations when communicating with its customers. In early 2017 the ACCC undertook an investigation into the hearing aid industry and selling practices which were financially driven rather than consumer focussed. The ACCC put the industry on notice and released a public report to encourage industry to reconsider commissions, disclosures and sales practices in the context of the ACL. Guidance material was also published to assist consumers to make an informed choice when purchasing hearing aids. The ACCC hit its stride in its agriculture engagement in the last financial year. The ACCC released a market study into the cattle and beef industry in March 2017 aimed at increasing competition among buyers of cattle and reducing the potential for anti-competitive conduct in the industry. The ACCC also commenced a 12-month inquiry into the competitiveness of prices, trading practices and the supply chain in the Australian dairy industry. The ACCC’s work in agriculture has increased substantially since the appointment of a commissioner with extensive agriculture experience, Mick Keogh, in February 2016. An important milestone was the commencement of the revised Horticulture Code of Conduct on 1 April 2017. The purpose of the Code is to redress the power imbalance between growers and traders by ensuring there is transparency in the relationship between growers and traders so that they each have a clear understanding of the terms they are trading under. The major advance under the Code was the development of horticulture produce agreements which establish basic trading considerations such as when payments will be made. The Code also requires all parties to deal with each other in good faith. Action was commenced in the Federal Court in April 2017 alleging Murray Goulburn engaged in unconscionable conduct and made false or misleading representations to farmers in its southern milk region between June 2015 and April 2016 about the average farm gate milk price (FMP) it expected to pay them for the 2015–16 financial year. Anti-competitive behaviour takes many forms, from the formation of cartels resulting in price fixing or market sharing agreements to agreements or other conduct which is for the purpose or which has the effect or likely effect of substantially lessening competition. In 2016–17 the ACCC was involved in 12 new competition enforcement interventions, covering medical, building and construction, shipping and transportation, financial services and more. Information on the cases concluded and continuing can be found in appendix 9. Despite widespread awareness of the illegality of cartel behaviour, and our success when prosecuting cases, cartel cases remain an important feature of the ACCC’s work. A major milestone was achieved when in July 2016 Japan-based global shipping company Nippon Yusen Kabushiki Kaisha (NYK) pleaded guilty in the Federal Court to criminal cartel conduct. This is the first criminal charge laid by the CDPP against a corporation under the criminal cartel provisions of the Act. In August 2017 the Federal Court imposed a penalty of $25 million—the second highest penalty imposed in ACCC history. In handing down his decision, Justice Wigney stated the fine “incorporates a global discount of 50 per cent for NYK’s early plea of guilty and past and future assistance and cooperation, together with the contrition inherent in the early plea and cooperation: meaning that but for the early plea and past and future cooperation, the fine would have been $50 million”. In May 2017 the ACCC instituted proceedings against Ramsay Health Care Australia for alleged anti-competitive conduct involving misuse of market power and exclusive dealing in the Coffs Harbour region. The ACCC alleges Ramsay took action to preserve its position in day surgery services in the Coffs Harbour region by making threats to reduce or withdraw individual surgeons’ access to operating theatres at Baringa Hospital if they were involved in a competing day surgery facility. We alleged that the surgeons suspended their plans to establish a competing day surgery facility because of these threats. The case was continuing at time of publication, but highlights the scope of ACCC concerns regarding anti-competitive behaviour. In June 2017 High Court found that price fixing agreements entered into between Air New Zealand Ltd (Air NZ), PT Garuda Indonesia Ltd (Garuda), and other international airlines, which occurred between 2002 and 2006, breached Australia’s competition law. This was a long and complicated case which commenced against Air NZ in 2009 and Garuda in 2010. The ACCC alleged Air NZ and Garuda colluded with other airlines on charges for fuel, security, insurance surcharges and a customs fee for the carriage of air freight from origin ports in Hong Kong (both airlines), Singapore (Air NZ) and Indonesia (Garuda) to destination ports in Australia. Under the law as it then stood, the ACCC was required to establish that the conduct occurred in a ‘market in Australia’. The High Court unanimously dismissed the appeals by each airline and held that all aspects of the market, including the presence of customers in Australia, need to be considered in deciding whether a market is ‘in Australia’. At time of publication, penalties had yet to be decided by the Federal Court. A multi-year court battle ended in December 2016 when the ACCC won a High Court appeal regarding Flight Centre’s attempt to induce three international airlines to enter into price-fixing arrangements between 2005 and 2009 in relation to airfares offered online by the airlines that were cheaper than those offered by Flight Centre. The ACCC argued that Flight Centre and the airlines are competitors, a position the High Court endorsed. The ramifications of this case are large. It provides important guidance for the future application of competition laws in Australia to other situations where competing offers are made directly to consumers by both agents and their principals. It is likely to be particularly relevant when businesses make online sales in competition with their agents. Following lengthy investigations and court proceedings, the Federal Court ordered ANZ to pay penalties of $9 million and Macquarie Bank to pay penalties of $6 million in December 2016 for attempted cartel conduct in 2011 in relation to the benchmark rate for the Malaysian ringgit. Cartel behaviour is a particularly insidious anti-competitive behaviour. It limits price competition and the ability of new entrants to enter the market. In response, over the past three years we have invested significant resources to build a substantial team of specialist criminal cartel investigators and a number of briefs of evidence have been provided to the Commonwealth Director of Public Prosecutions (CDPP) for prosecution. Three petrol market studies were released in 2016–17 covering the Cairns (May 2017), Armidale (November 2016) and Launceston (July 2016) markets. The studies build on the first market study into the Darwin market (November 2015). These petrol market studies seek to explain why petrol prices are higher in certain regional locations and where the profits are being made along the petrol supply chain. The ACCC considered 288 mergers of which 33 were subject to a public review during the year. Significantly, and in accordance with our stated objectives, we cleared 88 per cent of mergers without the need for a public review (well above the target of 70 per cent). The ACCC unconditionally cleared 23 mergers that underwent a public informal review and two were approved subject to undertakings. While the number of mergers considered by the ACCC has declined marginally over the past year, down from 319 in 2015–16, those mergers that have undergone a public review have been increasingly complex and, in many cases, have been more contentious compared with previous years. A statement of issues was released in relation to 13 of the publicly reviewed mergers . While the ACCC did not oppose outright any mergers, it is significant to note that eight reviews were discontinued either because the transactions did not proceed or because the parties withdrew their request for clearance. In all eight of these matters we released a statement of issues identifying issues of significant concern or that may raise concerns. Consistent with its role in assisting the Australian Competition Tribunal in its assessment of merger authorisation applications, in 2016–17 the ACCC assisted the Tribunal in relation to Tabcorp Holdings Limited’s application for merger authorisation to acquire all of the shares in Tatts Group Limited. The net public benefit test applied by the Tribunal requires a weighing of the likely detriments and benefits to the public, which is different to the substantial lessening of competition test which the ACCC applies in its informal merger clearances. In June 2017, the Tribunal granted conditional authorisation to Tabcorp for the proposed acquisition on the basis that the proposed acquisition was likely to result in substantial public benefits and no material detriment. The ACCC has sought judicial review of the Tribunal’s decision on three points of law. At the request of the Government, the ACCC is conducting inquiries into the supply of retail electricity and the competitiveness of retail electricity prices in the National Electricity Market (the final report is due 30 June 2018); an inquiry into prices charged or proposed to be charged by Authorised Deposit-taking Institutions affected by the Major Bank Levy between May 2017 and June 2018; an inquiry into the supply of home, contents and strata insurance in Northern Australia (reporting on 30 November 2020. Inquiries conducted by the ACCC involve extensive analysis of the market and its price drivers. From a consumer perspective, ACCC inquiries usually involve broad public consultations, including public forums which act as important information-gathering tools. That the inquiries have been given to the ACCC is further confirmation of the faith the Australian Government has in our ability to deliver robust investigations. In April 2017 the Treasurer directed the ACCC to hold an inquiry into improving the transparency of gas supply in Australia. The ACCC will submit interim reports no less frequently than every six months and provide information to the market as appropriate, with a final report due by 30 April 2020. This will build on the considerable work the ACCC and AER have undertaken to identify issues in the market which have resulted in significant energy price rises over the past few years. For most Australians, buying a new car represents the second largest purchase they will ever make but growing evidence suggested to us that consumer guarantees and legal protections are not being respected by the industry. In response, in June 2016 we commenced a market study into the new car retailing industry. Public forums attested to issues beyond the buying process in relation to consumer guarantees, such as proprietary software and security devices which limited the ability of third parties to carry out repairs and servicing on modern cars, and the accuracy of fuel economy information to consumers. These issues were all assessed in the Draft Report released in August 2017. In 2016–17, the ACCC authorised 13 collective bargaining arrangements and allowed one collective bargaining notification on net public benefit grounds. Collective bargaining can create efficiencies in the negotiation process and enable small business to negotiate better terms and conditions with larger businesses than they could achieve on their own. However, in some cases collective bargaining may reduce or distort competition which was why, in March 2017, the ACCC denied authorisation to Bendigo and Adelaide Bank, the Commonwealth Bank, NAB and Westpac. The applicant banks were seeking to collectively bargain with Apple and collectively boycott Apple Pay over access to the Near-Field Communication controller in iPhones, and reasonable access terms to the App Store. On balance, the ACCC was not satisfied that the likely public benefits from the arrangement outweighs the likely public detriments. Few enabling technologies are more important to the modern world and economic development than telecommunications; few years have been more challenging for a regulator like the ACCC, tasked as we are with promoting competition and protecting consumers. In March 2017 the Federal Court rejected Telstra’s application for judicial review of the fixed-line services final access determinations we made in October 2015. The ruling means the one-off uniform decrease of 9.4 per cent in access prices will stand until 30 June 2019. To put the ruling into common language, it means the remaining users of Telstra’s network won’t pay higher costs due to a shrinking customer base on the copper network as others migrate to the NBN. The ruling will make a financial difference to many Australians. The past year also included a declaration of the wholesale superfast broadband access service (SBAS) to allow retail service providers to access non-NBN superfast access networks to supply retail services to end users; a declaration of the wholesale asymmetric digital subscriber line (ADSL) service for a further five years and will lead to a more competitive retail sector, which is likely to deliver greater choices for end users in the form of better prices; and a draft decision proposing not to declare a wholesale domestic mobile roaming service. Our highly publicised draft mobile roaming decision followed a review of more than 130 submissions to the ACCC’s discussion paper. The ACCC examined the incentives for mobile network operators to upgrade their networks or invest in expanding coverage in regional areas both with and without declaration. On 2 June 2017, Vodafone sought judicial review of the draft decision, and this case is currently before the courts. The ACCC expects to make a final decision in late 2017. Our work in telecommunications included a market study into the sector, examining barriers to efficient economic outcomes, scheduled to report in early 2018. Following a steady and increasing number of complaints in relation to broadband services in Australia, in April the ACCC was directed by the Government to implement a fixed broadband performance monitoring and reporting program. This will involve the ACCC publishing information about the speed at which services typically operate, and other metrics relevant to measuring broadband performance and applications consumers commonly use. The ACCC expects to provide its first report by the end of 2017. The program seeks to monitor broadband speeds in 4000 households across Australia. Markets are the most efficient mechanism we know of to allocate scarce resources for their most productive uses. Water is a perfect example of such a resource. The ACCC’s role is to increase confidence in emerging water markets and ensure the efficient operation of the water charge and market rules to meet the current requirements in the sector. We seek to do this by increasing transparency, promoting efficiency and increasing protections for customers while also reducing the regulatory burden in the implementation of water charge rules. Signals from the Murray-Darling Basin indicate end users (typically irrigators) have modified their behaviour to become more efficient water users; complaints about the market have also declined in the past year. The ACCC received 155 035 scam reports in 2016—an increase of 47 per cent compared to 2015. Despite the considerable increase in reports, financial losses to scams have decreased by 2 per cent, with $83.6 million reported lost. Dating and romance and investment scams remain the most costly, with losses of $25.5 million and $23.6 million respectively. Hacking scams increased fourfold, from $700 000 in 2015 to $2.9 million in 2016. Losses due to computer prediction software and sports investment scams decreased by 68 per cent from $5.5 million in 2015 to $1.8 million in 2016. In 2016 the ACCC’s key disruption activities focused on relationship scams and working with intermediaries, including the banks and social media platforms to bolster their scam prevention efforts. The ACCC continued writing to potential victims of relationship scams, with over 2834 letters sent to potential scam victims in 2016. Of those that were sent a letter, 74 per cent stopped sending money within six weeks. The ACCC is the standard-bearer of competition advocacy in Australia. But we are also a global leader and serve as a role model internationally. In March 2017, our role in elevating competition policy to the national economic agenda was recognised by the World Bank and International Competition Network (ICN). The award “Levelling the playing field through competitive neutrality or by elevating competition policy to the economic policy agenda” highlighted our work. In the past financial year the ACCC finalised its enterprise agreement. This was an extremely difficult process given the Government’s bargaining rules. The agreement reached is certainly not ideal, but the majority “yes” vote is a tribute to our staff’s appreciation of the importance of the work they do. We have an exciting year ahead. We will deliver final reports or bring down vital interim or draft reports in at least six of our seven current inquiries or market studies; we have several criminal cartel briefs with the Commonwealth Director of Public Prosecutions; our unfair contract terms work will get into full swing, as will our broadband speed monitoring enforcement and compliance work; Australian Consumer Law changes will become clearer, and hopefully higher penalties will be legislated; and, of course, the Takata airbag issues will continue to be a top priority … and I have left so much out. But I cannot leave out my gratitude to the staff of the ACCC and AER. Their effort and dedication over the past 12 months has been extraordinary. The ACCC and the AER continue to have an excellent reputation and the respect of the Australian community; this is all due to our staff. On behalf of all the ACCC Commissioners and AER Board members I would like to thank each and every one of you.